"While baseball is a business proposition viewed from the players' and magnates' standpoint, it is recreation and pleasure, an afternoon's outing for the fan. Yet the grand-stand spectator or bleacherite is not the type of American who will be satisfied with burlesque or slovenly played baseball. The game which attracts the fan to the baseball park at every available opportunity must bristle with exciting and high-class work. Evenly matched teams and the absolute surety that the play is on the level is what makes baseball the national sport of America"
experience a slight delay as each card loads. Once all the cards have been loaded, the collections can be rapidly perused. 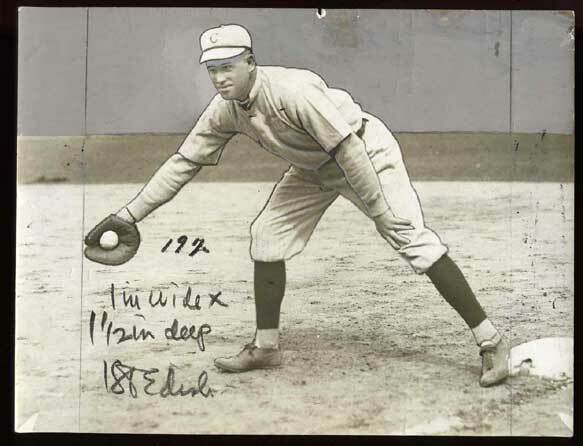 Despite these words proclaiming the love of "high-class" baseball, Hal Chase was not "on the level." 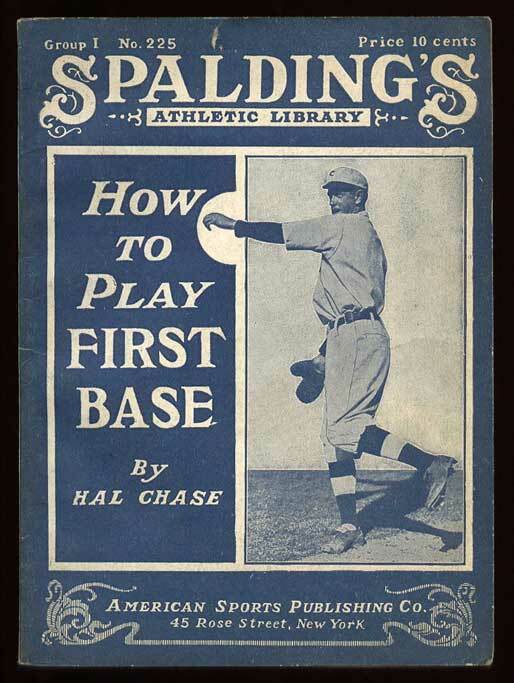 In fact, the only thing of absolute surety about Chase when he penned these words in 1911, as manager of the New York Highlanders (also called the Americans, Invaders and then the Yankees), was that he had personally rigged games while engineering his replacement of former NY manager George Stallings. 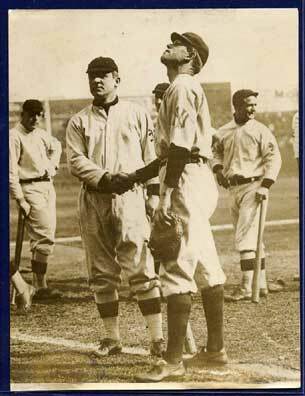 Equally as certain, was Chase's prominence as the most famous Yankee to play the game until Babe Ruth's arrival eight years later. 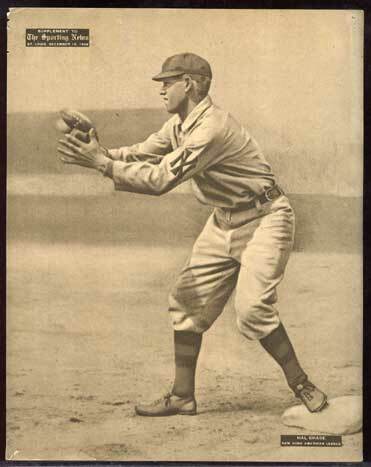 "Pince Hal," as he was dubbed by the New York press, was the first big league baseball player to star in a feature film. 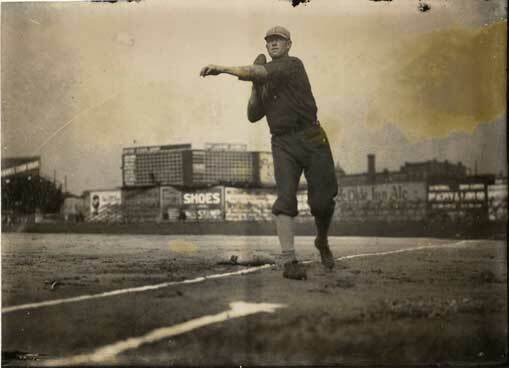 In 1907, no less than Sporting Life had crowned him as "perhaps the biggest drawing card in baseball." 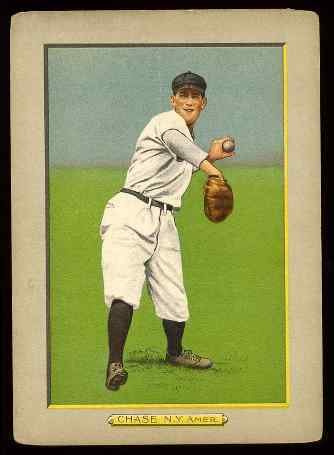 But during his 15 year tenure in the major leagues -- with the Yankees, White Sox, Buffalo Federals, Reds and Giants -- Chase did more to dishonor the game than just about any other player...including the 1919 "Black Sox" with whom he was tangentially linked. Despite years of accused wrongdoings, suspensions and a forced 1919 removal from baseball for "unspecfied reasons," Chase remained at the top of many lists of all-time greats and even racked up a sizable number of votes for the inaugural Hall of Fame induction class in 1936. It is not VintageBall.com's intention to detail Chase's nefarious dealings or post-Major League career in semi-pro ball in the Southwest. For more detailed information, click on the external links at the bottom of this box. c.1916-18 Paul Thompson photo. 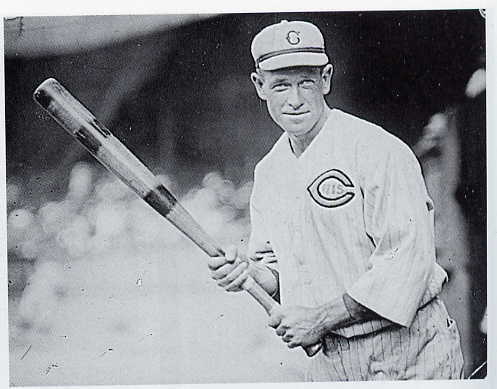 In 1916, after a season-and-a-half in the upstart Federal League, Chase led the National League in hitting with the Reds. 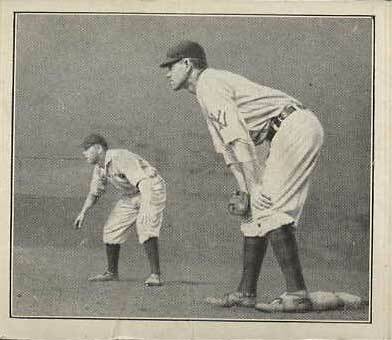 Classic photo reproduced in 1909 by The Sporting news and distributed in December as a supplement to the popular publication. c.1916-18 Cleveland newspaper photo file copy. Note the editor's marks, including the heavy outlining of Chase's uniform, to make the contrast better for publication.